Dementia and parkinsonian disorders are tremendous burdens for patients, relatives and the health-care system. Despite massive research and drug development, there are still no therapies that slow down or stop the diseases. Disappointing results from recent large-scale clinical trials reflect the lack of methods for early detection of underlying disease pathologies and insufficient knowledge about the disease mechanisms in affected humans. As the field stands today new strategies are needed. Because of this knowledge gap, we have initiated the Swedish BioFINDER (Biomarkers For Identifying Neurodegenerative Disorders Early and Reliably) study. The study is based in Sweden and affiliated to the Clinical Memory Research Unit and The Biomedical centre, both at Lund University. 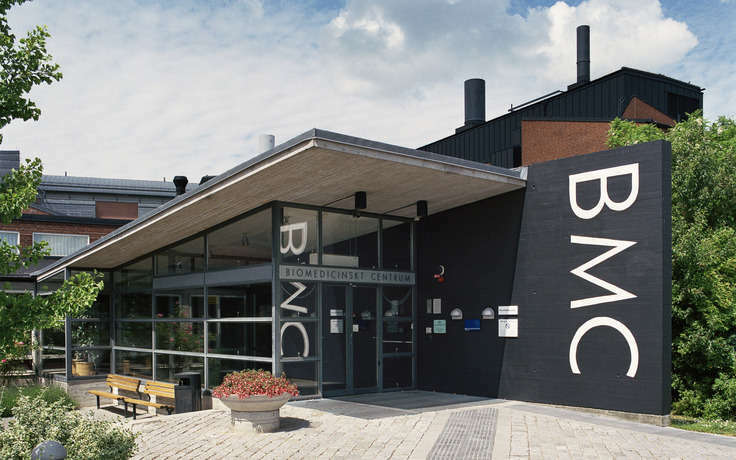 Patients are consecutively included from the Memory and Neurology clinics at Skåne University Hospital as well as the Memory Clinic at Ängelholm’s Hospital. More than 1600 patients with mild cognitive symptoms, dementia and parkinsonian symptoms as well as cognitively healthy elderly have so far been enrolled in the study. The subjects undergo repeated examinations of advanced MRI (including fMRI, DTI, DKI, ASL and MPRAGE), CSF and plasma analysis, amyloid and tau PET, detailed clinical assessments and neuropsychological examinations. Skin biopsies are also collected and the fibroblasts are reprogrammed to iN and iPS cells. Develop methods for early and accurate diagnosis of Alzheimer’s disease (AD) and Parkinson’s disease (PD). This is important not only for the clinical diagnostic work-up, but also for selection of patients to clinical trials. Because dementia is very common in the elderly, but often misdiagnosed, we need to develop brief tests and blood biomarkers for use in a primary care setting. We also aim to develop new diagnostic algorithms using advanced imaging techniques and CSF biomarkers to diagnose patients prior to overt symptoms (when brain dysfunction is still limited and reversible) in order to identify individuals more likely to respond to new disease-modifying therapies. Investigate the heterogeneity of dementia and parkinsonian disorders to assist in the development of a new pathology-based disease classification. Current diagnostic work-up is based on symptomatology. However, the diseases (e.g. Alzheimer’s and Parkinson’s disease) are heterogeneous with respect to clinical features and underlying pathologies. Moreover, there is also significant overlap between the diseases. Hence, today’s symptom-based clinical diagnostic criteria are likely too coarse to provide an etiologically meaningful classification of patients. We will therefore work towards a pathology-based disease classification that will facilitate the development of new disease-modifying therapies and help understand the links between different pathologies and clinical symptoms. Define the temporal evolution of pathologies in the predementia phases of Alzheimer’s and Parkinson’s disease as well as other neurodegenerative disorders. It has become clear that we need to better understand the temporal sequence of pathologic events in these disorders to be able to select the optimal disease stages for interventions in clinical trials with different disease-modifying therapies directed at specific pathologies. Examine the underlying disease mechanisms of Alzheimer’s and Parkinson’s disease in humans and to establish new disease models for human experimental research aiming at finding new relevant drug targets. Drug discovery using the currently available cell and animal models, has not translated to human research as indicated by the failed phase II and III trials (acknowledged by pharma industry and regulatory authorities).